I landed in Albuquerque, New Mexico, and needed to get to Santa Fe. 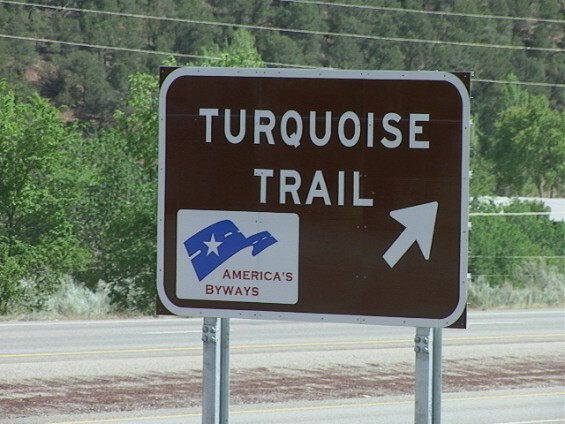 My options: the highway or The Turquoise Trail. I chose to avoid the freeway and took this National Scenic Byway (smart choice!). 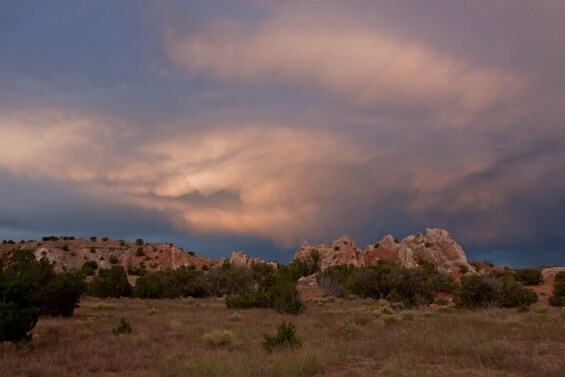 The area encompasses 15,000 square miles in the heart of central New Mexico, linking Albuquerque and Santa Fe. 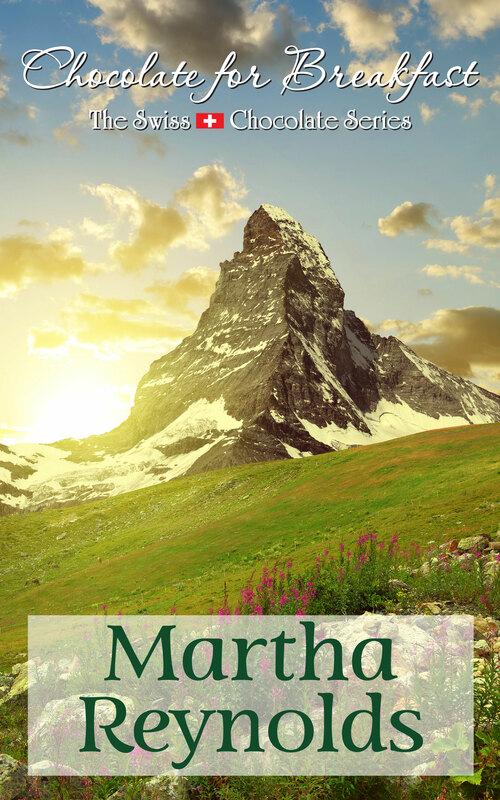 The drive is approximately 50 miles along Highway 14 and passes through the old mining towns of Golden, Madrid, and Cerrillos. We made a stop in Madrid. Madrid’s history dates back to the early 1800’s as a mining town, and today it is a distinctive artist’s community. The area was booming in its heyday supplying coal for the Santa Fe Railroad, local consumers and the US Government. When coal use declined the town fell silent. It became a ghost town. In the early 1970’s, artists and craftspeople arrived. They converted old company stores and houses into quality shops and galleries and services. Madrid has an original tavern, the Old Coal Mine Museum and in the summer there are events in a theatre created in the engine house and festivals and concerts at the Historic ballpark. The Fourth of July parade and Christmas celebrations (weekends in December) have been revived by Madrid’s current residents. If you go, be sure to stop at The Mine Shaft Tavern in Madrid for a Desert Dog Pilsner and a green chile hamburger! Nice! The scenic route is usually the best route, in travel and in life.